This article speaks about four different dresses that are gaining popularity worldwide. It also gives an idea of fashion accessories that could go well with each of them. Every year fashion introduces numerous new trends. It is then that you keep thinking about how you would enrich your style quotient and grace with the best outfit. I am sure this is the case with you. You would always want yourself to be perfectly dressed on a corporate celebration, a promotional activity or a birthday of your nephew. While every gorgeous woman clads herself to tickle her mate pink, the attire’s color might matter her most to distract him for staring and talking to her without a moment’s pause. 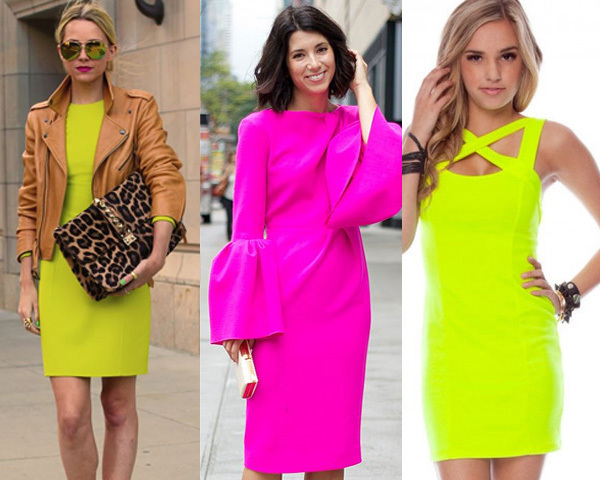 If you are in the same situation, then these light shaded dresses are just for you. Dress to kill with these and always keep brimming with freshness, goodness and joy. A pair of bright high heeled flip-flops with a brown colored jacket would remind you of the past when you were filled with energy and confidence. Reflective sunglasses would make you earn the name of a 21st century Mosad Agent. Multiple stripes and motifs prints spell social independence of traditional women. Stay trendy and awe-struck your peers with these exclusive dresses. You will never know when you would be nicknamed as the ‘Duchess of the present times’ as the one in ‘My Fair Lady’ that starred Audrey Hepburn. Complement it with a dark colored ankle length fur robe and black shoes if you are a fashion victim. The translucency together with floral and creative prints would certainly glorify you and add magic to your dress codes. The one that you would have always longed for immediately after your nuptial. If a cocktail party is beckoning you after long hours at your workplace and you are seeking to interweave pleasure with professionalism, then your choice with these vintage inspired outfits will never go wrong. Pair them with shimmering ornaments and a leather waist belt for a new look. With its simple but yet sophisticated and crisp design, these are a reminiscent of the 80’s. Why not mirror yourself to be enjoying a beach picnic with these informal garbs? Complement your ethnic beauty with these suites with just a flower nestling in your head, a cowboy hat and slippers. These would make your whereabouts a memorable one. Colored prints of garlands, tall trees truly would keep you happy as you watch the birds fly and waves recede by. On a concluding note, these apparels will help you give an insight of how you would pace yourself with the ever changing fashion trends and keep you grinning like a Cheshire cat.